November means sweaters and cool weather and lovely crisp leaves and fires at night and cups of hot tea. Or rather, it should mean that, but since we're in Vegas it's really just a perpetually lovely 80 degrees (and it's hard to complain about that). Still - November does at the very least mean Thanksgiving (my husband is already plotting the delectable demise of a turkey - mmmm). 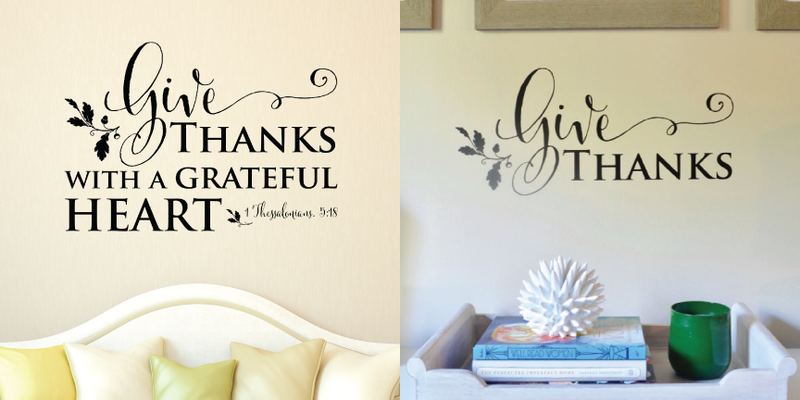 To celebrate, we want to showcase a few of our newest "thanks" themed designs. Many of them are suitable for much longer than November (as is gratitude itself, no?) 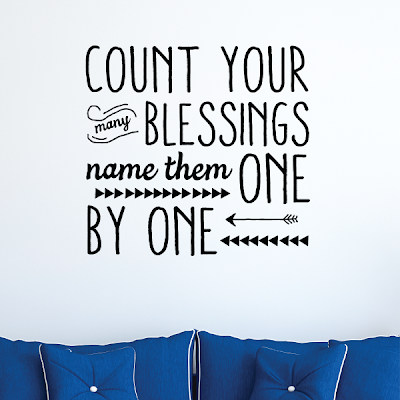 and all are lovely reminders to cultivate an attitude of gratitude every day. These two designs, Grateful Heart Wall Quotes™ Decal (right) and Give Thanks Acorn Wall Quotes™ Decal (left) are my very favorite of these new "thankful" collection of decals. I think it's the combination of the sweet and fancy script font with the classic serif. Or maybe the perfect little leaf/acorn embellishment. Whatever it is, I put it up in my own house this season and who knows when it'll come down? Love it. And such a perfect reminder that we really do have so much to be grateful for. 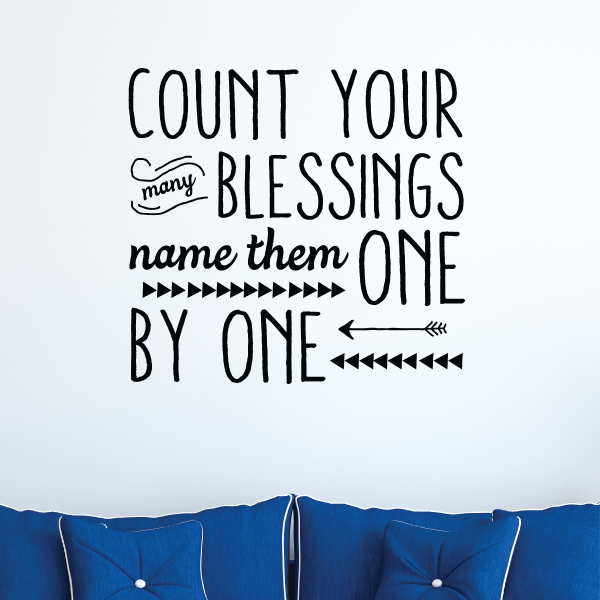 This design, Count Your Blessings Wall Quotes™ Decal, is a modern update with on trend design elements (arrows = amIrightoramIright?) of a very well-known christian hymn. Bet you'll find yourself humming the tune every time you see it in your home - always a good thing. 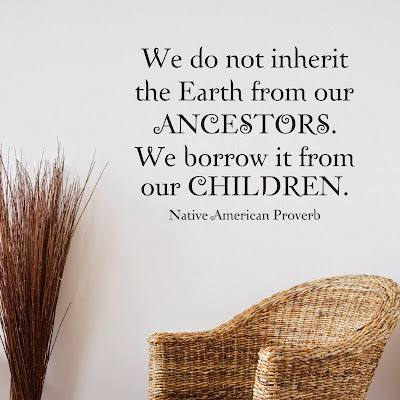 This Native American Proverb, the text of our design We Borrow The Earth Wall Quotes™ Decal, is such a fitting reminder for this time of year - and always - to be grateful for what we have and mindful of what we leave behind.